I like the way how fast Supermicro is improving their motherboards. 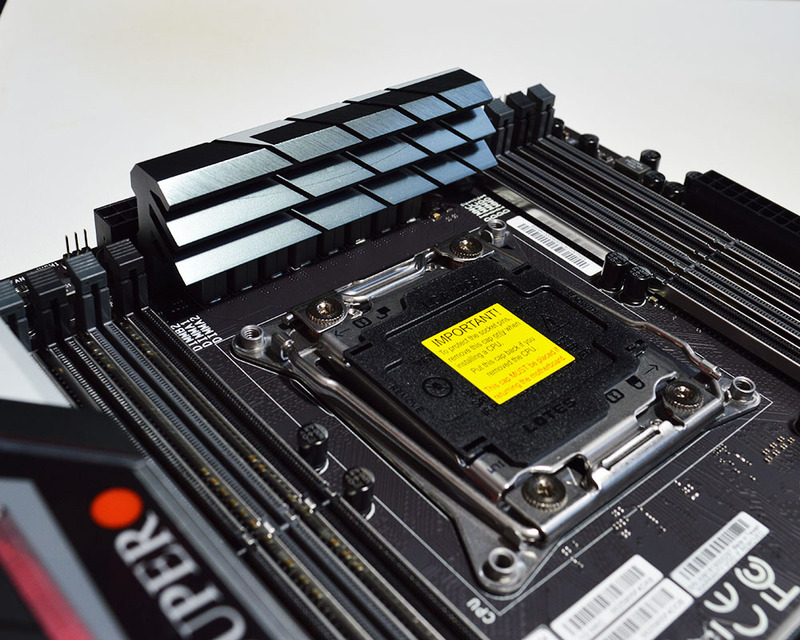 Not so long time ago we could see first gaming motherboards under the SuperO logo and each one motherboard which arrives at our redaction is better. I hope that also the C9X299-PG300 will surprise us with something exceptional. Actually, I know it will but you have to read this review to find out what is so special in the SuperO C9X299-PG300. 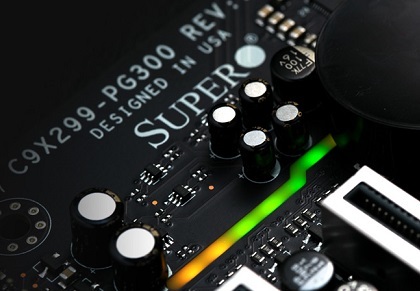 SUPERO’s Professional Gaming series includes our best high-performance gaming motherboards. 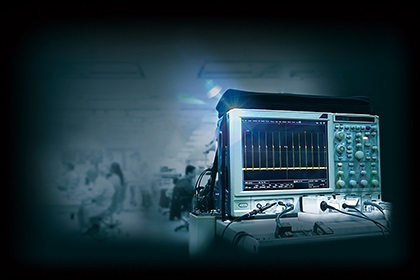 We include the latest performance-enhancing technologies with the latest features. Our server quality engineering along with our components that are specially designed for gaming applications makes these motherboards the best of its class. 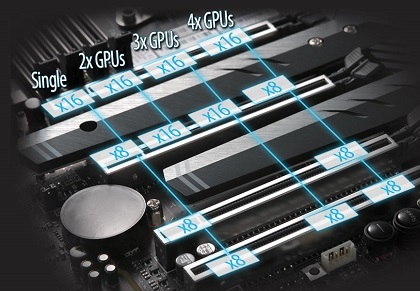 Our SUPERO C9X299-PG300 has multiple PCIe x16 slots and can support up to 4 GPUs! 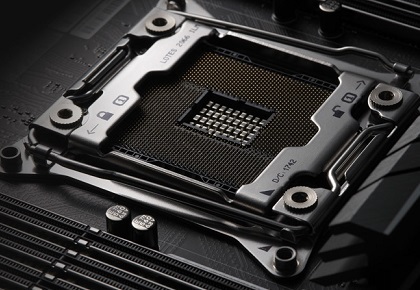 Our motherboard supports the latest Intel® Core™ i9 Extreme processors up to 300W with up to 128GB of 4133MHz memory. We also include 10Gb LAN and NVMe storage options through M.2 or U.2. An incredible arsenal at your disposal to use against your next opponent. Power up with up to 4 video cards at once and experience the best gaming ever. We support DirectX 12 and CrossFireX so that you can play your 4k and VR games at Max Detail and Razor Sharp Precision. 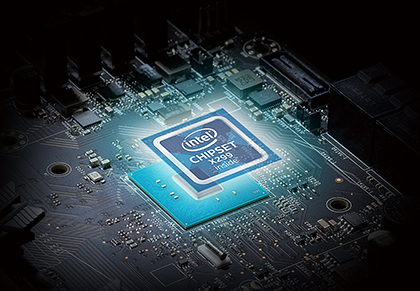 As technology evolves to support creativity, artists and designers will appreciate the Intel® X299 chipset and Intel® Core™ X-series processor family to deliver the most exciting content. 3D and 2D modeling to post production, your tools will run superbly on the Intel® X299 chipset and Intel® Core™ X-series processor family. 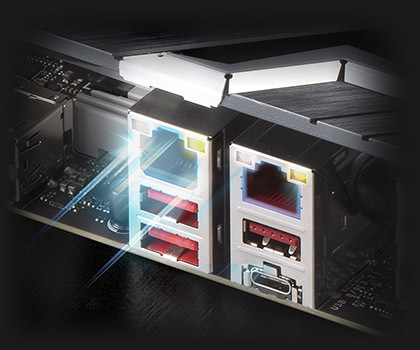 The latest Pro Gaming X299 board has been fully equipped with dual M.2 and dual U.2 ports and is going into overdrive achieving a massive 32Gb/s of transfer speed via PCIe 3.0 x4 bandwidth. In addition, Intel® Optane™ Memory reduces boot-up and load times for a smooth user experience, and rapid storage and data transfer speeds that will happen in the blink of an eye. Enjoy the best in audio quality with 7.1 HD Audio support with up to 120dB SNR, 114dB for recording and DSD128 hardware decoding powered by the latest Realtek ALC1220 chip and professional audio capacitors. C9X299-PG300 also comes with Ultralow Noise and Ultralow Distortion shielding that protects the audio from interference and distortions. Experience clean and pure unadulterated quality. You have the POWER, now experience SPEED! 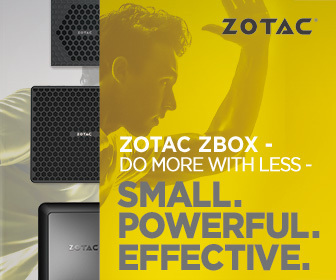 Our 10Gb port delivers 10X faster connectivity ensuring low CPU overhead Giving You More Power to Use. 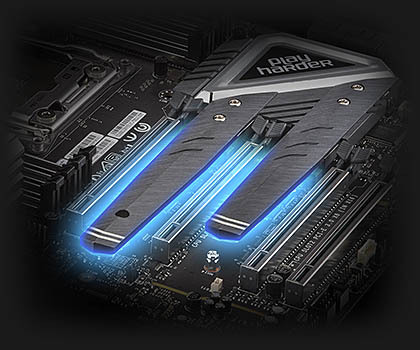 If you are gaming or pushing huge amounts of data, this motherboard has got your back! 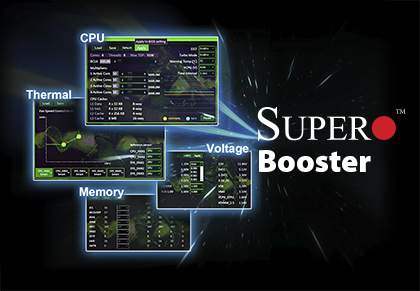 The brand new SUPERO Booster overclocking feature allows you to overclock your CPU and memory real-time straight in Windows 10 operating system. Adjusting fan speeds has never been easier with the new GUI allowing you to manage the curves real-time. It will monitor your hardware so you can have control over everything, making sure all is in great shape 24/7. Run the SUPERO Booster and be awed by the VASTNESS of POWER. Customization is an understatement when it comes to this motherboard. Fully customizable with our SUPERO Booster software we have installed RGB LEDs on the PCH, HD audio area, and the I/O cover. 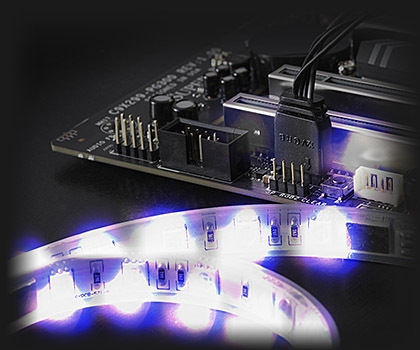 Not only is the motherboard equipped with LEDs we have gone a step above including 2 RGB headers so you can light up your rig from the inside out. You can buy the SuperMicro C9X299-PG300 Motherboard from selected online retailers for around USD $285-299. Check the latest prices on Amazon.